Full details of the eleventh chapter for Dead by Daylight has been revealed, featuring a plague-based priestess who can terrorise her victims via infectious projectile vomiting. A Babylonian high priestess, consumed by the plague and chosen by the entity for her fervor, will be the next killer available to play alongside talkshow host Jane Romero. The newest killer, The Plague, has an interesting and complex power: Vile Purge. After charging for a few seconds, she can begin vomiting ahead of her, tainting and corrupting those it hits — survivors, generators, and even pallets. Interacting with corrupted objects or being hit by the vomit will make a survivor sick. 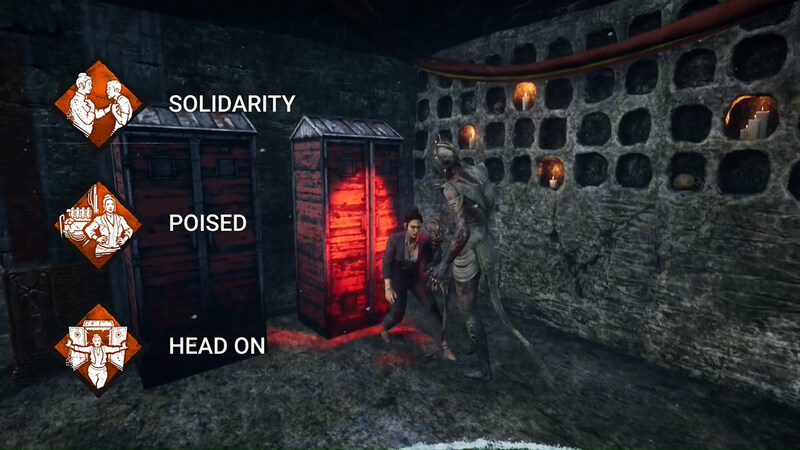 Once sick, actions such as running, vaulting pallets or interacting with objects will gradually increase the sickness towards a maximum level; once maxed, the survivor falls into a damaged state, becomes broken (cannot be healed to healthy), and regularly pauses to vomit, alerting nearby killers to their presence. Using one of a few fountains sprinkled around the map will heal and remove the sickness debuff at the cost of corrupting the fountain. 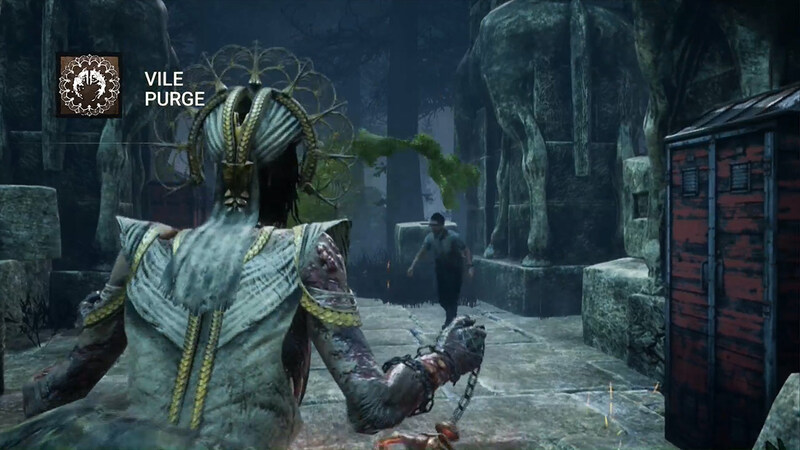 Beyond being (presumably) unusable by other survivors to heal, a corrupt fountain can be used by the killer herself to upgrade her power into Corrupt Purge, which adds damage to her vomit. Dark Devotion: Upon hitting the obsession, the killer’s terror radius (and any effects connected to it such as Unnerving Presence) transfers from the killer to the obsession for a short time. Infectious Fright: Whenever a survivor is downed, nearby survivors scream and reveal their location briefly (similar to a raised madness level). 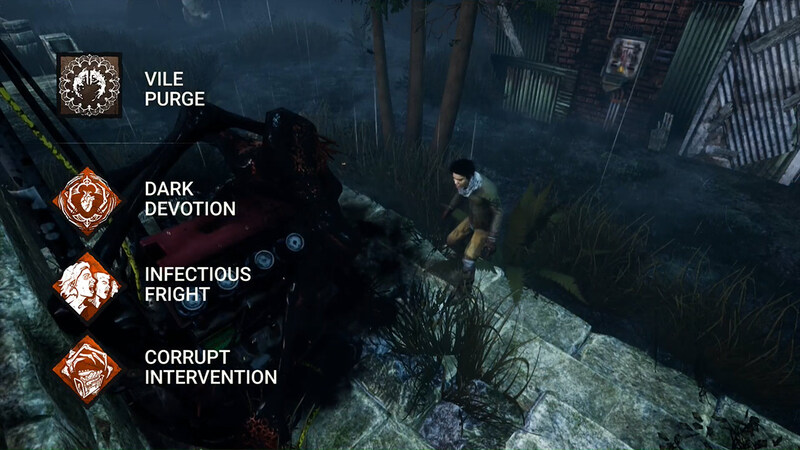 Corrupt Intervention: At the start of a match, generators furthest from the killer are blocked by the entity and cannot be interacted with for a short time. Solidarity: While healing another survivor, Jane is also healed herself at a slower rate. Poised: After completing a generator, no scratch marks are left while running for a short time. Head On: After remaining in a locker for a few seconds, dashing out of a locker with the killer in front of it will briefly stun them. This causes exhaustion and cannot be used while exhausted. So, what do you think? Are you excited to see the Plague in action? The new chapter will be available for testing on the Dead by Daylight PTB server later this week.